Lava fountains from a fissure in the volcano reached as high as 180 feet from Saturday night into Sunday, pushing flows of molten rock into the ocean. 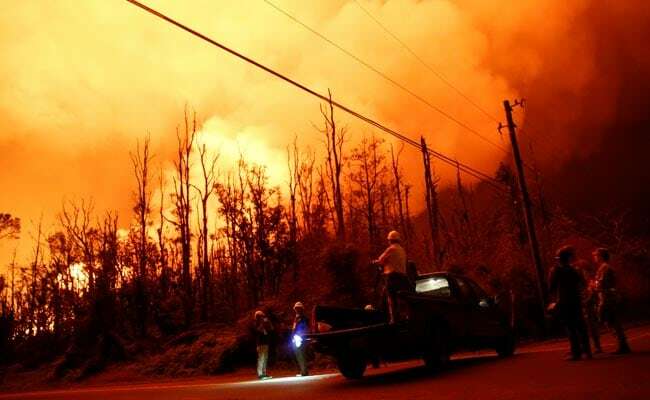 HONOLULU, Hawaii: A small explosion at the summit of Hawaii's erupting Kilauea Volcano on Sunday sent ash spewing into the air, creating a driving hazard for roads on parts of the Big Island, the US Geological Survey said. Lava fountains from a fissure in the volcano reached as high as 180 feet (55 meters) from Saturday night into Sunday, pushing flows of molten rock into the ocean, it said. "Seismic activity at the crater continues with gas explosions and ash eruptions under 10,000 feet (3,050 metres). While the eruption is never predictable, conditions appear stable for the moment," Richard Rapoza, a spokesman for Hawaii Emergency Management Agency, said in an email. The eruption, which entered its 39th day on Sunday, stands as the most destructive in the United States since at least the violent 1980 eruption of Mount St. Helens in Washington state that reduced hundreds of square miles (km) to wasteland and killed nearly 60 people, according to geologist Scott Rowland, a volcanologist at the University of Hawaii at Manoa. No one has died in this Hawaii eruption but some 600 homes have been swallowed by lava flows from Kilauea since May 3, Hawaii County Mayor Harry Kim said last week. 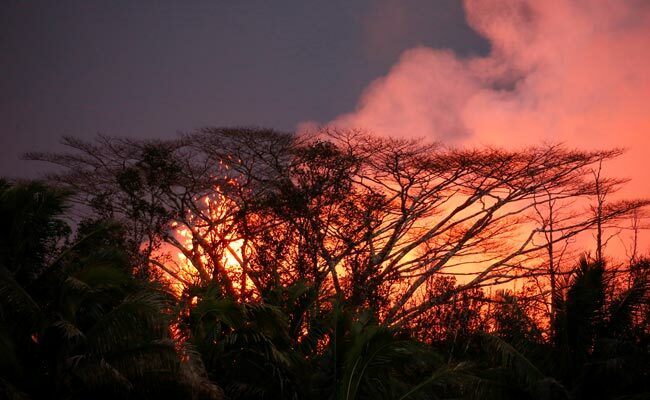 Vacationland, a private development believed to comprise about 160 homes, was completely erased, and at least 330 houses were devoured by lava at Kapoho Beach Lots, Kim said.